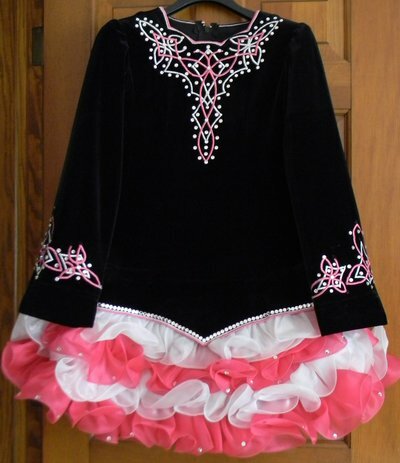 This beautiful solo dress has a black velvet bodice with pink and white embroidery at the neckline and on sleeves. 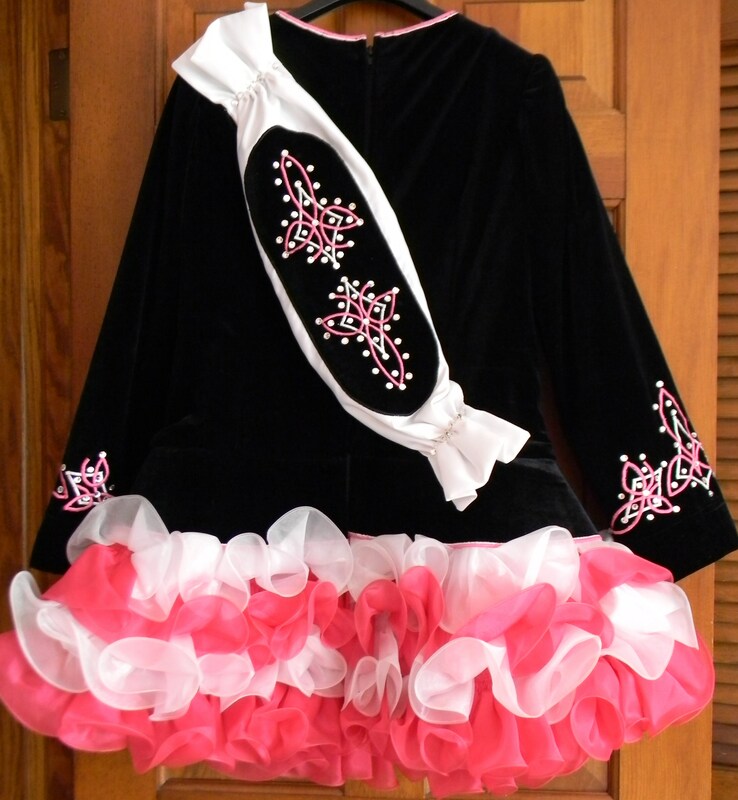 It features a drop waist and a pink and white satin ruffle skirt. It is covered in Swarovski crystals to add stage presence. Although the dress was previously let out, it can easily be taken in. This dress was kept in a pet free/ smoke free home. Headband and bloomers are included. Asking Price: $US550. Shipping costs are not included in the asking price. Sale is final.